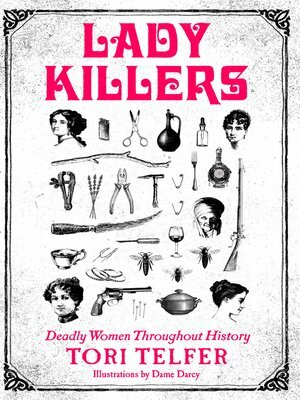 Inspired by author Tori Telfer's Jezebel column "Lady Killers," this thrilling and entertaining compendium investigates female serial killers and their crimes through the ages. When you think of serial killers throughout history, the names that come to mind are ones like Jack the Ripper, John Wayne Gacy, and Ted Bundy. But what about Tillie Klimek, Moulay Hassan, Kate Bender? The narrative we're comfortable with is the one where women are the victims of violent crime, not the perpetrators. In fact, serial killers are thought to be so universally, overwhelmingly male that in 1998, FBI profiler Roy Hazelwood infamously declared in a homicide conference, "There are no female serial killers."